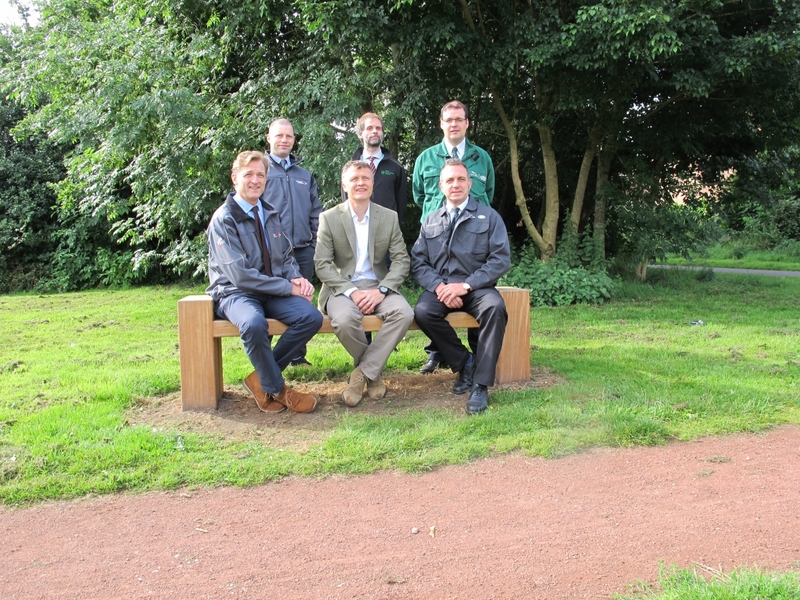 In early 2016 we were lucky enough to secure funding from Jaguar Land Rover and Vinci Construction to carry out more improvements to Jubilee Wood. The partnership between the Friends of Bilbrook, Vinci Construction and Jaguar Land Rover forms part of the Corporate Social Responsibility commitment for the JLR extension on the i54 industrial estate. Over the last few months Vinci Construction have installed a radar gate and new tarmac path for wheelchair users to access the wood from the Watery Lane lay-by. They have added two new benches and two information boards. South Staffordshire District Council have provided the graphic work for the information boards so visitors to the Jubilee Wood now have information on the history, layout and wildlife in the wood. A wildflower meadow was also installed which provides a food and nectar source for animals and insects as well as a beautiful, colourful display for visitors to the wood. Every year we are hoping to extend the meadow along the paths in the wood. The final part of the project will be the planting of trees on some of the road verges in the village. These trees will provide colour in the spring and hopefully bring nature closer into the urbanised areas of the village but also provide much needed habitat for our wildlife.